Without an engine, your vehicle is going nowhere fast, which is why it’s important to understand how it works and how to properly maintain it. Learn more about what makes your engine tick, signs that trouble is approaching, and how to keep your engine in tip top shape for as long as possible. Starting Troubles: Key is in the ignition, turning to start, and click, click, click, thud! That’s not good. If you’re having trouble starting your vehicle, there are a few different reasons for the trouble, one being the engine. If your engine refuses to turn over during the starting process, it’s time to visit a mechanic and make sure it’s nothing serious. Sometimes, starting trouble can be due to faulty wiring, dying batteries, or a problem with the alternator. 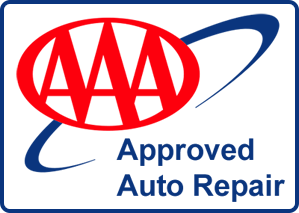 At Glenn’s Auto Repair, we offer a thorough diagnosis, and guarantee fast affordable, high-quality service every time. For more information on engine repair, and other services provided by Glenn’s Auto Repair, contact us today. Our team of professional mechanics are always happy to speak with new and returning clients. Our main goal is to have our clients safe and comfortable on the roads, which is why we go above and beyond to give you the best service possible. Schedule an appointment with one of our trusted mechanics, and see how your engine is doing.